With a goal of representing 2,000 clients, literary agent Andrew Wylie touts thinking globally, an authoritative backlist—and the highest-quality writing. 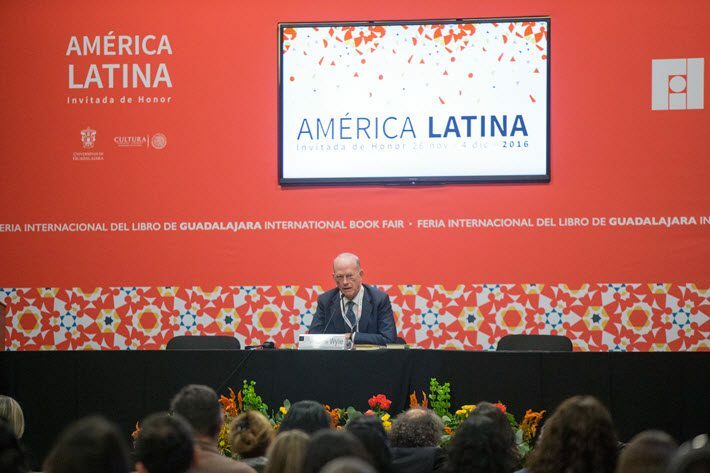 Of the 1,100 authors The Wylie Agency represents, only 20 are Spanish-language writers—far fewer than there should be, the agency’s founder admits. 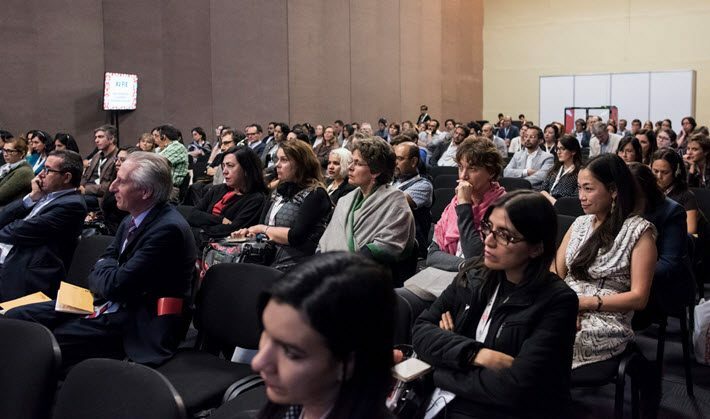 “But we’ve taken steps to address that” as part of the agency’s strategy to focus globally, Andrew Wylie tells Publishing Perspectives at Guadalajara Book Fair. “I think the problem with the system,” Wylie says, “and you see this in France particularly where it’s spectacularly evident, is where publishers own world rights to the authors’ books they publish, and for some reason publishers in foreign countries will not accept the word of publishers in the home territory. Wylie represents the estate of novelist and poet Roberto Bolaño, one of the biggest literary talents to emerge from Latin America in recent times. This year, Wylie moved the author’s body of work from Barcelona-based Anagrama to Penguin Random House’s imprint Alfaguara, which launched Bolaño’s previously unpublished 1984 novel El espíritu de la ciencia ficción in Guadalajara. 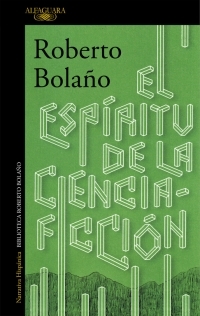 Roberto Bolaño’s previously unpublished ‘El espíritu de la ciencia-ficción,’ set in 1970s Mexico City, was released in mid-November by Alfaguara. “Most authors and their agents,” Wylie says, “want to keep the writer with the publisher that published their last book. But if that publisher has grown tired of the marriage and has taken the writer for granted, and only offers one-third of what another publisher will offer for the book, then it’s time to end the marriage and change publishers. Wylie acknowledges the late Chilean author as having been a big influence on writing in Spanish. But it’s the quality of the writing that is crucial to remaining in vogue, Wylie says, rather than the agency’s pursuit of writers. “We’re decidedly unfashionable,” he says. “We base our judgment on the quality of the work, and if the writer is really good, then we will go after the writer hammer and tong. If we think they’re good, we’ll get in touch with them. He also identifies the global approach as a key to his success. 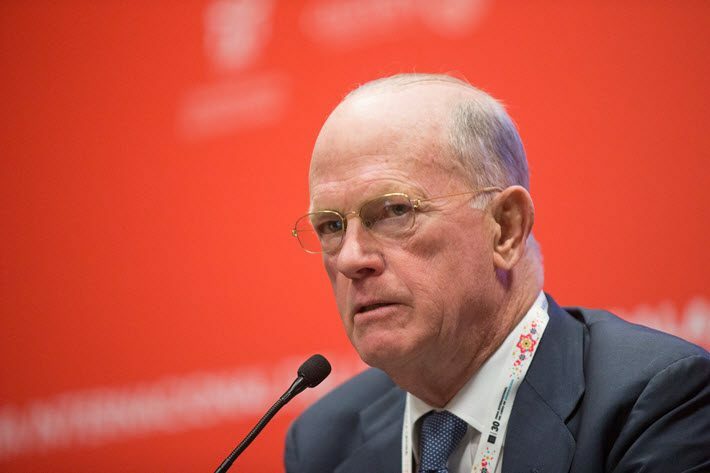 “One thing that’s critically important is that we always think about the global picture. We’re not just thinking locally. Most agencies operate locally and trade off their foreign business to other agencies. But those other agencies don’t have time to read the books they’re handling and they’re not talking to people in a position of authority in publishing houses in their respective territories. And so the whole system doesn’t work. Called “The Jackal” for poaching writers from other agencies, Wylie says his reputation as an aggressive operator during the agency’s first decade came from his efforts to find better deals for writers he perceived weren’t represented well. “When we started, we pretty much had to get writers that were already represented and published,” he says. “Now we’re looking all the time at young writers, not only in Spanish, but around the world. “When I began, I had very little idea about what being an agent involved. All I knew was that I wanted to read and represent writers I admired. I wanted the job not to be about money, but about the quality of the work I represented. Wylie says he now has a clearer idea of that role, and why he’s so well suited to it. “The agent works for the writer,” he says. “He’s the writer’s interpreter, business adviser, and ideally the stable element in the writer’s life—always available at the end of the phone, always ready to read and respond. The agent is the gardener on an author’s estate. “A writer is like a convict, spending a good part of their time in solitary confinement. So the writer is idiosyncratic, a-socialized, isolated, insecure. “What kind of person decides to work for a writer and become a successful agent? A person with devotion to the writer, a person whose attention is focused on the nature and aspirations of the writer, a person who studies the language and thoughts of the writer, and who’s adept at transmitting another’s work. “I have a nature that’s suited to representation. There are other professions that ask the same of the practitioner—lawyers or doctors, for example. You need to be drawn to your client’s needs. I’ve always found it easy to concentrate on and appreciate another person. I’m basically free of personality. I’m a vacuum. For the foreseeable future, Wylie says his plan is to continue to build the agency to remain sustainable without sacrificing its quality of representation or becoming financially unstable.